In many residences, visitors have to wait in long queue to register and sign the visitor book manually at the reception. Although this kind of visitor enrolment method is perceived as easy, it does not secure visitor information and anyone who is using the logbook can access the visitor data easily. In today’s security conscious environments, it is important for residence management to manage and track their visitors without sacrificing the security of visitor information. In early 2017, TimeTec introduced the revolutionary i-Neighbour cloud-based residential & visitor management system by just simple scanning of QR codes. It provides a more professional and user-friendly interface for visitor to pre-register, protect visitors’ information, and ease the process of collecting and auditing visitor data. i-Neighbour also helps the management to keep watching on every visitors who enter and exit their premises and manage visitor traffic in their buildings. 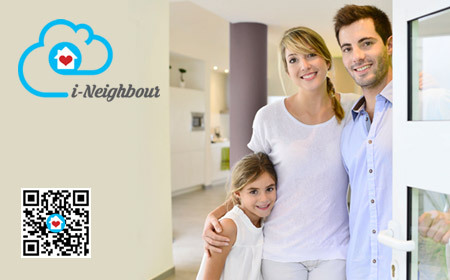 i-Neighbour caters for different role functions such as administrators, residents, visitors and security officers, with the respective web interface in both PC and Mobile App, for Android and iOS devices. I-Neighbour is loaded with many features to facilitate the management of gated and guarded properties. I-Neighbour can easily replace the conventional intercom system, and it has the tendency to save multimillion dollars for new housing development projects in the near future.